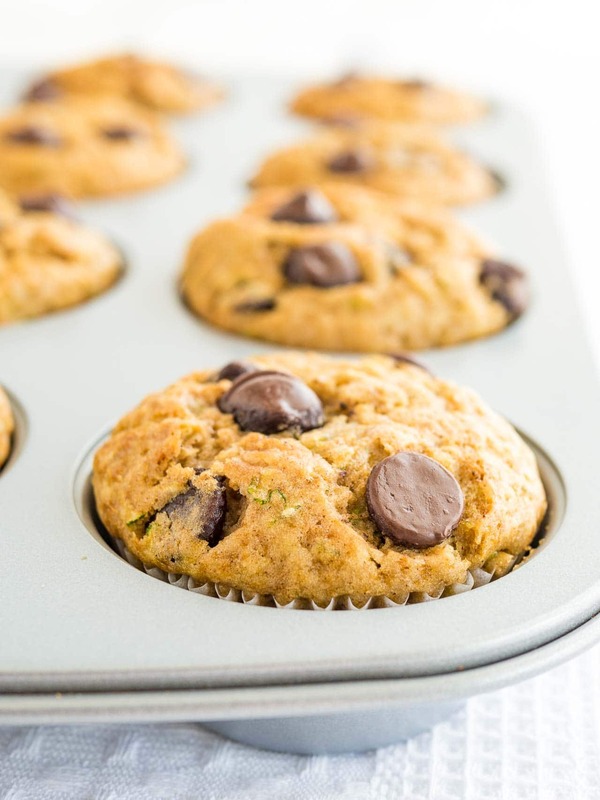 Zucchini Chocolate Chip Muffins are super moist and quick to make! They are a great way to use up all those zucchinis, freezer friendly, and make a perfect breakfast or lunch-box snack. 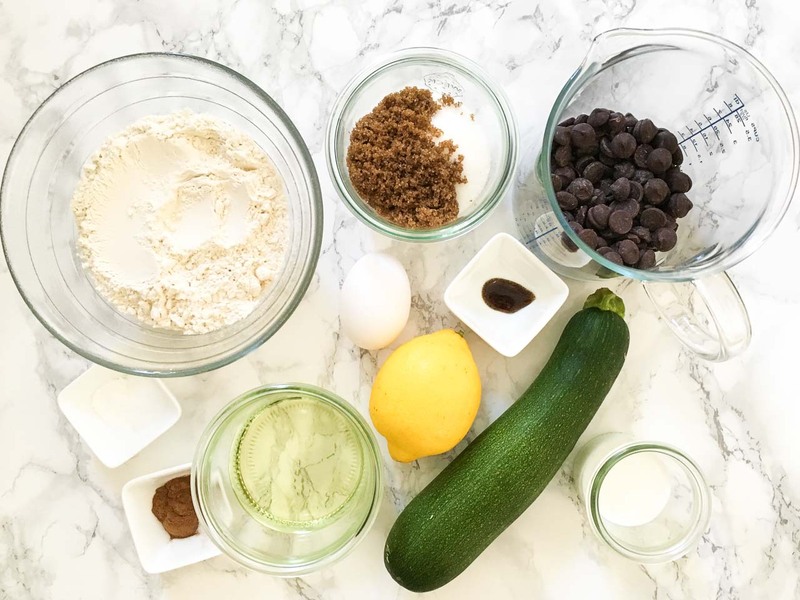 Chocolate Zucchini Muffins are loaded with chocolate chips and healthy zucchini! 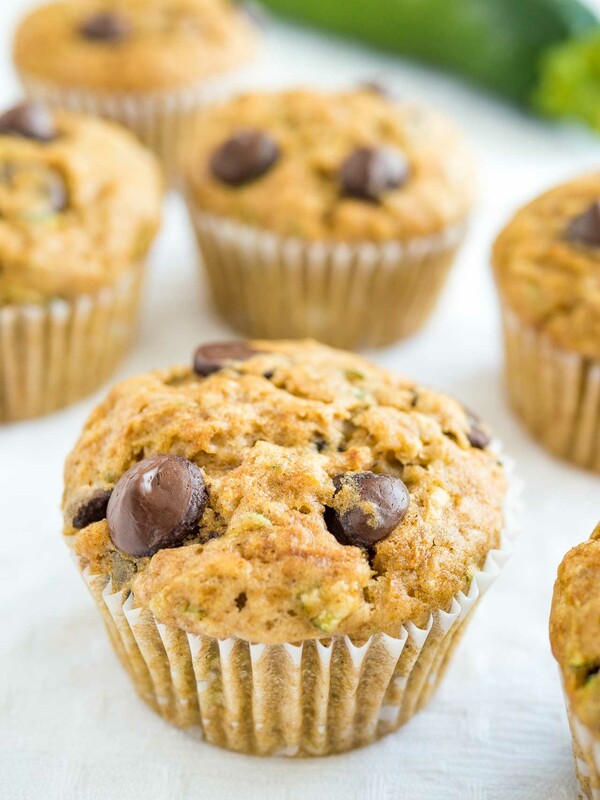 This zucchini muffin recipe is super easy and quick to make from scratch! Freshly grated summer zucchini makes them so moist and keeps them fresh for days. This recipe is perfect to use up all those zucchinis from your garden and you don’t need to squeeze out the zucchini which makes it super fast to whip up. I’m a big fan of using zucchini in baking recipes. You won’t really taste it but it makes all baked goods moist and tender. 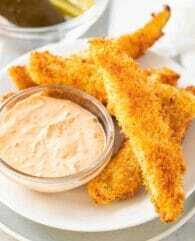 If you have little kids or a picky husband this recipe is for you. No one will notice that these are loaded with healthy vegetables, the chocolate chips are the perfect distraction. My zucchini bread muffins are one of my family’s favorite snacks! 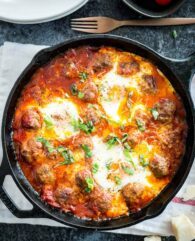 They make a great breakfast-on-the-go, are perfect for a lunch box and most important taste so delicious. 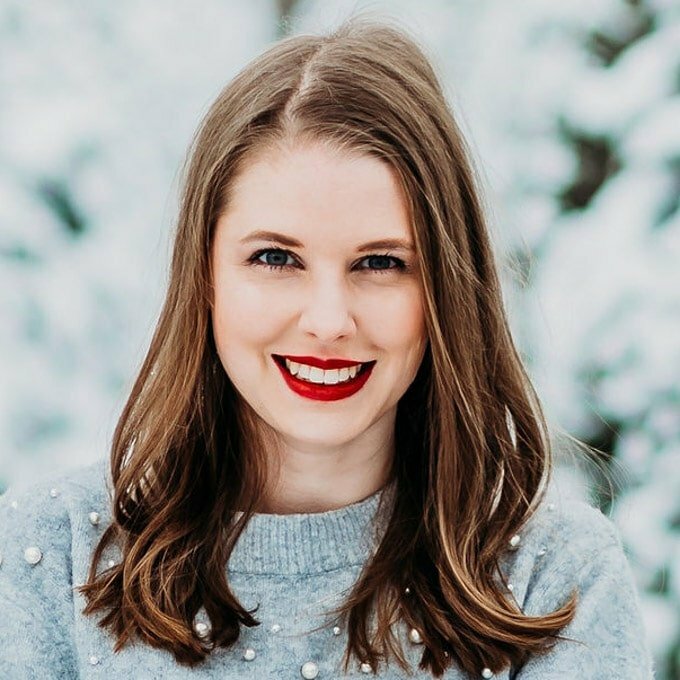 You will love them too! DON’T squeeze the moisture out of the zucchini. You need the moisture in this recipe so just give the grated zucchini a light blot with a paper towel to rid some, especially if your zucchini is extra wet. 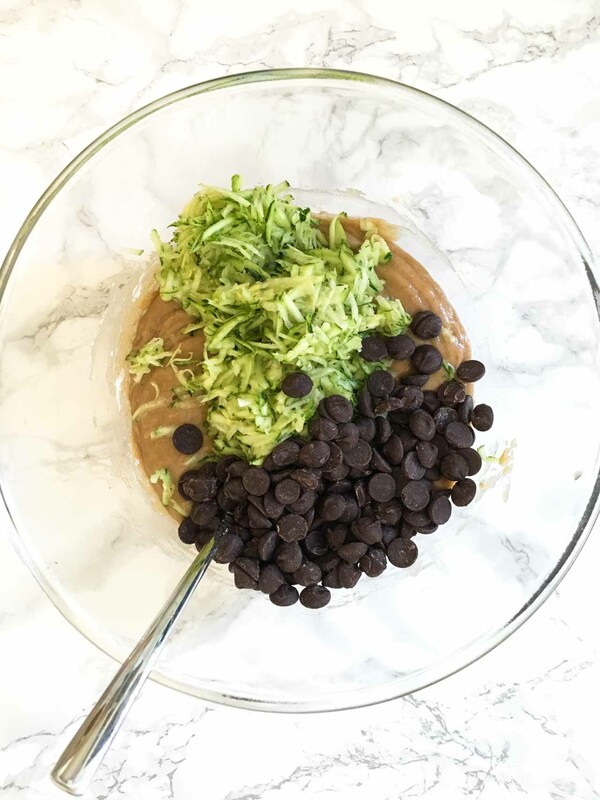 I use semisweet chocolate chips for this recipe most of the time but you can also use milk chocolate chips or roughly chop your favorite chocolate bar. If chocolate is not your thing, try this recipe with raisins or nuts (or both!) instead. You could also use a mix of chocolate chips and nuts. 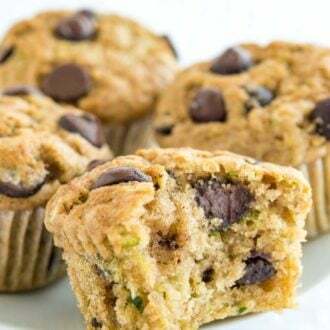 You can also make zucchini mini muffins from this recipe. Use a 24 count mini muffin pan and mini chocolate chips. Bake the muffins for 12-14 minutes or until a skewer inserted into the center comes out clean. Or make a zucchini bread: Use a 9×5 (or 8×4) inch greased loaf pan and bake for 45 – 55 minutes or until a skewer inserted into the center comes out clean. 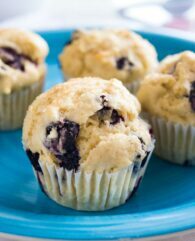 Make ahead tip: Muffins stay fresh and moist at room temperature for up to 4 days. They freeze well for up to 3 months. 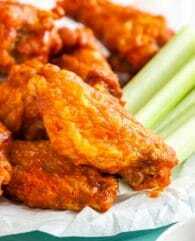 Thaw them overnight in the refrigerator and heat up in the microwave if desired. 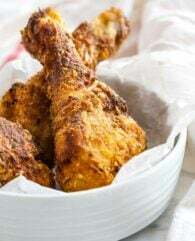 You can use whole wheat flour or white whole wheat flour instead of all-purpose flour. Or use a mix of whole wheat and all-purpose. You can reduce the sugar to 1/3 cup to make them less sweet and healthier. 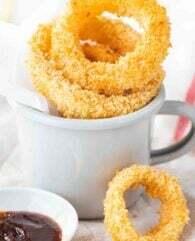 Instead of 1/2 cup vegetable oil use 1/4 cup vegetable or coconut oil and 1/3 cup unsweetened applesauce. You could also replace all the oil with unsweetened applesauce but I find a combination of both works best at keeping the same texture and not making them rubbery and dry. 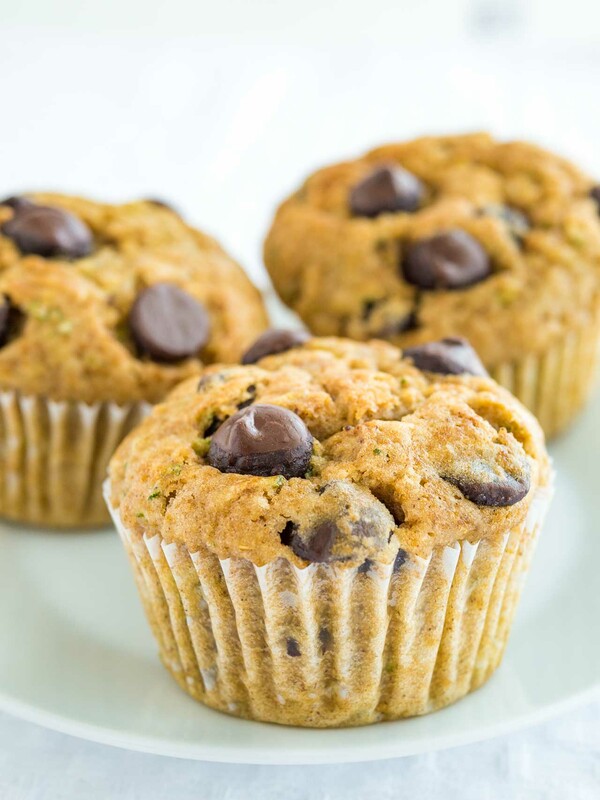 Zucchini Chocolate Chip Muffins are so moist and delicious! 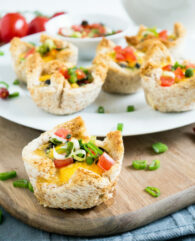 They're a great way to use up zucchini, freezer friendly, and make an easy breakfast or snack. In a large bowl combine egg, sugars, oil, milk, lemon juice, and vanilla extract. Mix until combined. Let the muffin cool in the pan for 10 minutes then transfer to a cooling rack to cool completely. Store in an airtight container at room temperature or freeze for up to 3 months.